I just thought I would post on this topic since I meet so many people whose dream is to start a therapy business and have so much to offer and yet cannot successfully get started. I started my first business at 22 years of age and have run businesses continually since that point. From a Law of Attraction point of view it is very difficult to draw success to you when you are in survival mode wondering how you are going to get the pennies for the next meal. 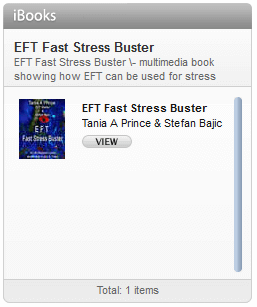 It is so much easier to get stability financially and then create the mindset to move into EFT. 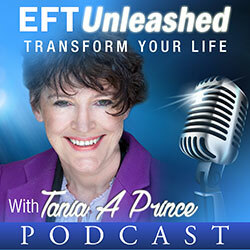 I think it is crucial to use techniques such as EFT to help move into a mindset which is conflict free in order to run a successful EFT Business. The less conflict you have internally about running the business the more smoothly in my experience things begin to happen in a positive way. In fact sometimes it is just amazing what opportunities present themselves when you clear blocks. Your family, are they supportive of what you are doing? If they are not you may need to tap on the emotions you have around this, until you are at a place of peace concerning this issue. Are you desperate to be successful? If you are, this is a block. Things happen more easily when you are focussed and at peace about it. Desperation can be tapped out. When you think of the therapy you want to practice, do you think others will think it is wacky, strange etc. Tap this out until you are emotionally at peace about this. When you are emotionally at peace about it, you will find it easier to put across to people the benefits of that therapy in a way that interests people. If you don’t tap these emotions out people will pick up on it at a subconscious level. When you think of yourself running your therapy business do you have concerns about clients thinking you are not worth the money they are spending? I have worked with many potential therapists who have visualized their clients not happy with their work. This fear is something that needs to be tapped out. The consequences of having this fear can lead to either not starting the business at all, feeling the need to keep studying and studying and studying and never quite reaching a point where you feel you know enough, or it can lead to charging very little for the services you offer. Is your mind focussed on the “competition”? Many therapists I have met focus so much on what the other therapists are doing and get into a mindset of thinking that because the other person works in certain areas that they cannot do that. This puts you into a mindset of lack, “there is not enough to go around”. This again is something that needs to be tapped out until you are at peace about it. Ideally you need to be focused on what you are doing and feeling inspired and good about that. When you think of marketing your therapy practice do you feel uncomfortable? 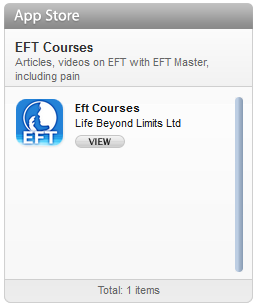 These are issues that you can tap out with EFT. You are never going to fully commit to promoting your business if you feel uncomfortable doing so. I am running a course dealing with clearing the blocks to running a successful therapy practice on the 5th of April in central Manchester. It will also cover some simple marketing strategies.